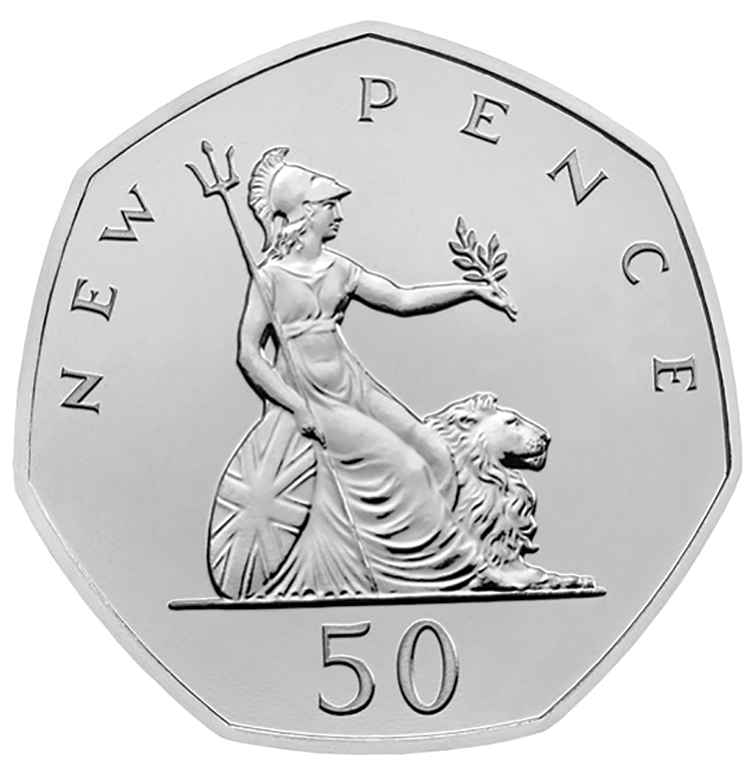 Released in 1969 ready for the decimal switchover, in 2019 the world’s first seven-sided coin marks its 50th birthday. 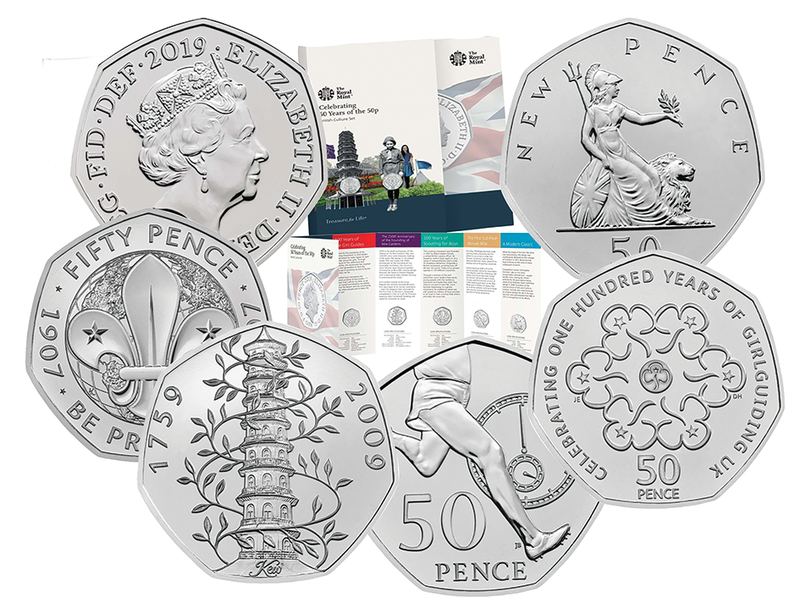 During its lifetime the 50p has been issued in many different commemorative editions celebrating every aspect of British life, from sporting achievements to children’s literature. 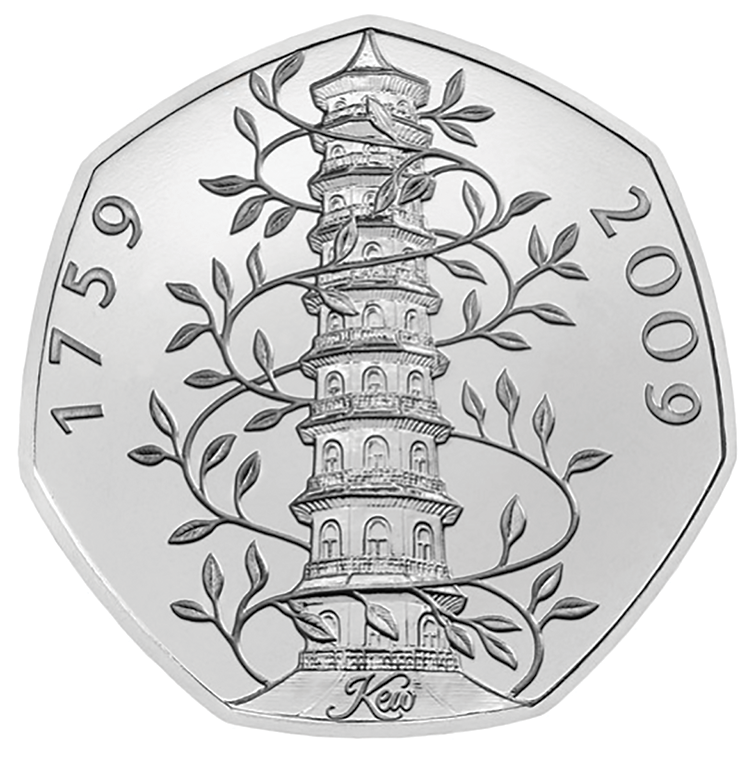 Limited mintages and iconic designs have served to create a collecting craze. 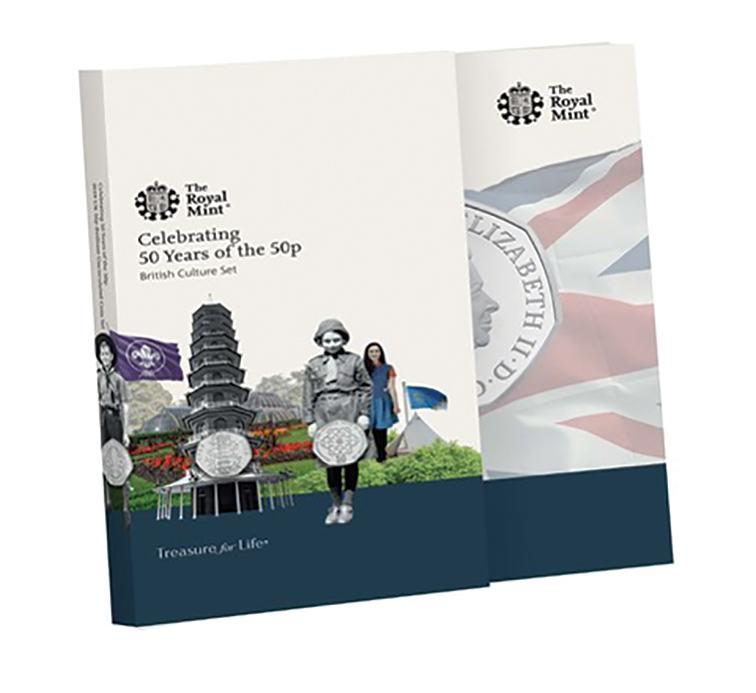 As the 50p marks this milestone moment, The Royal Mint is delighted to present a set of five carefully curated 50p coins celebrating British culture. 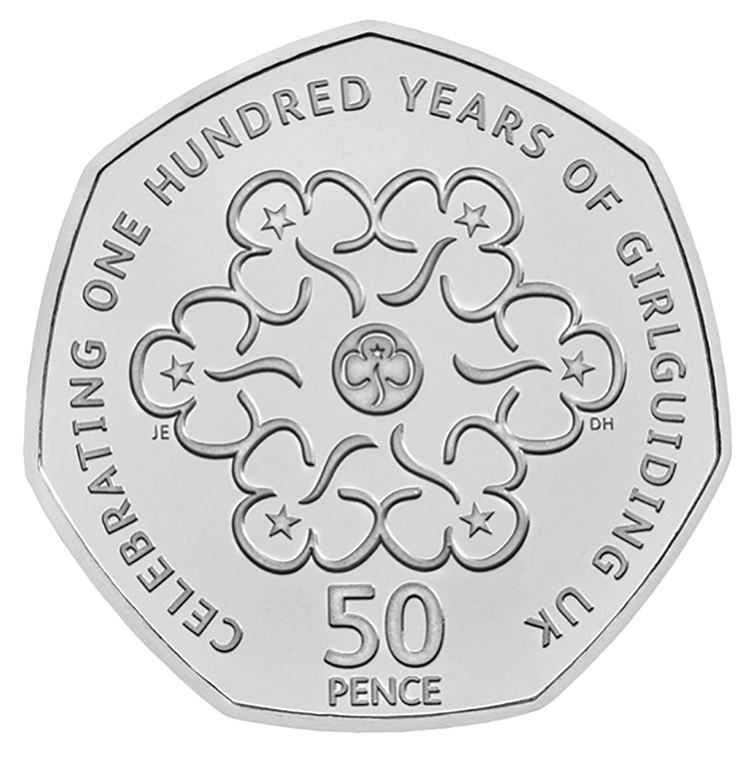 A 50p featuring the original Britannia design by Christopher Ironside is presented alongside coins commemorating the first sub-four minute mile, the Scouting Movement, the Girl Guides and Kew Gardens.